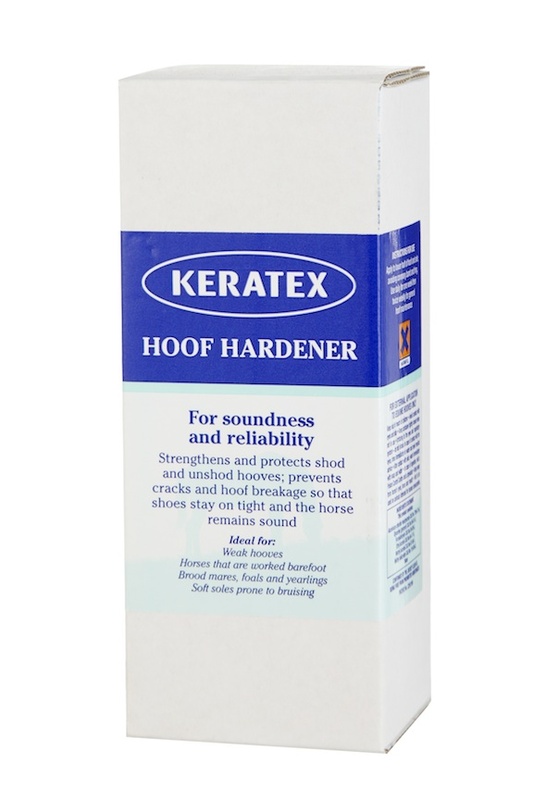 Below are some recent questions we've received regarding Keratex Hoof Hardener for Horses, including answers from our team. Can you use this to harden the frogs ? This product can be used on the frogs and the soles of hooves, however there is a more suitable product which is intended more for the underside of the hoof called NAF PROFEET Rock Hard for Horses. This product can be generously applied onto the hoof for great cover against wet and bacterial invasions.